Hey everyone coach Ev here, following on from my previous blog, I said I would write a blog on how to free up the shoulders and thoracic spine. Many of us have developed bad habits that have led to restrictions in our movement ability in our shoulders and t-spine. My experience of coaching has shown me that those who play hurling or rugby usually have greater shoulder and t-spine mobility in comparison to Gaelic footballers and soccer players. And those who sleep on their shoulders often have a huge imbalance in their shoulder mobility when both sides are compared. This could potentially lead to an injury over time which may vary from minor muscle strains to more severe disk issues etc. Almost all of the exercises below can be done at home and can hugely help in creating a little extra mobility. Get a foam roller and place this under your top knee whilst lying on your side. Bring your knee to 90° angle. Start by having your hands together with your arms straight. With your top hand, use your thumb like a pencil and draw around your body as you exhale. Keep your thumb in contact with the ground at all times. Your top shoulder will drop towards the ground during this process. Also keep your knee in contact with the foam roller throughout the movement. 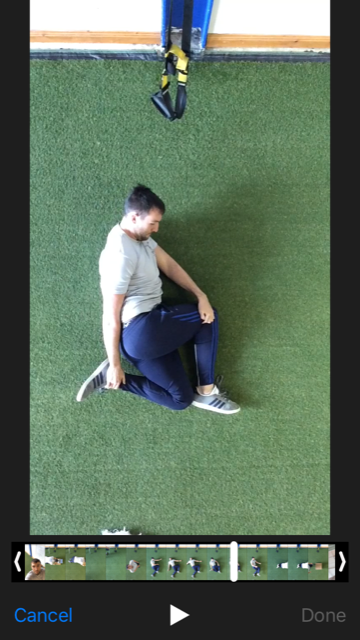 If you have never completed a movement like this before you may feel ‘popping’ or cracking in your t-spine and this is normal. Whilst lying on your side, bring your knee to a 90° knee angle. With your top hand, grab your lower ankle and with your lower hand, grab your top knee, take a deep breath, on the exhale press your top shoulder back towards the ground. As with the side lying windmill, you may hear or feel a ‘popping’ sensation in the t-spine. Whilst in an all-fours ground position. Press your hips back and keep a neutral spine. Grab the back of your neck with one hand, fix your eyes to that elbow. As your externally roatate your arm outwards, keep your eyes on your elbow and maintain the neutral spine. 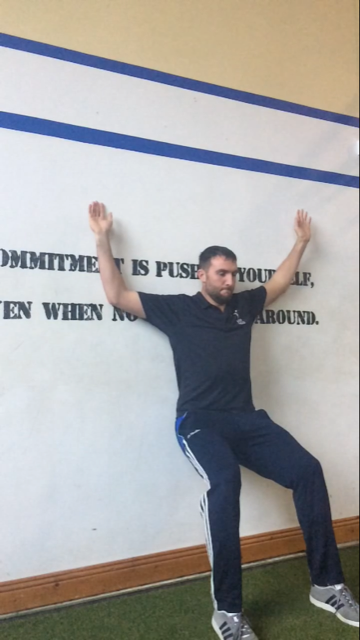 As with the 2 previous exercises, you may feel ‘popping’ in your t-spine if you have poor mobility. Sit into a quarter/half squat against the wall, press your lower back into the wall. Place your hand and elbow in conatct with the wall, run your hands and elbows up and down the wall. This may be difficult if your mobility is very restricted. Throughout the movement keep your lower back in contact with the wall. A good cue for this is to keep ribs down. For this you'll need a bench/chair and a dowel. Start with your knees dircetly beneath your hip, a dowel held by both hands behind your head/neck and your elbows at shoulder width on a bench. Take a deep breath, on the exhale press your hips back while keeping your elbows in contact with the bench. For this exercise all you will need is a dowel/band/rope. Initially I would recommend for someone with poor molility to start wth as wide a grip as possible. Keeping your arms straight. Rotate over your head and backward. As you progress narrow your grip. For those with severe lack of mobility I would recommend starting these execises at home on top of any training they may already be doing. 2-3 sets of 6+ reps is a decent rep and set range to start with. And remember, when it comes to mobilty and flexibility work, quality over quantity. As always, if you have any questions, call in and ask or pop us a message here at PFP.